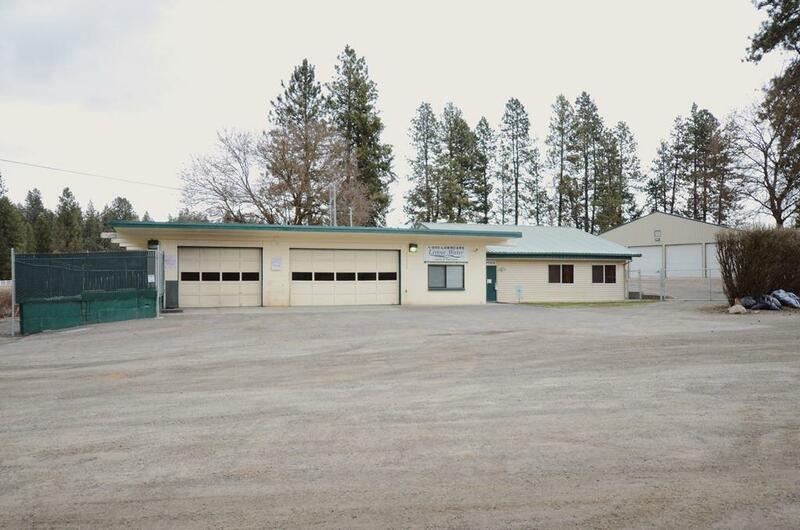 Phenomenal flexible-use property w/ ease of access to all areas of Spokane County. Living Water Lawn & Tree Care converted this former firehouse to an ideal flexible-use space in which they expanded their Spokane operation. Approx. 1,800 sqft of office space w/ 2 attached truck/wash bays. The 50' x 55' insulated & heated fleet garage w/ 14' doors is a true gem w/ an attached, enclosed 42' x 22' lean-to for added storage of materials or smaller vehicle. Adequate power/water/security for a variety of uses.